We meet on the second and fourth Tuesdays of the month at 6:00 p.m.
1585 Kapiolani Blvd, Room 1518. 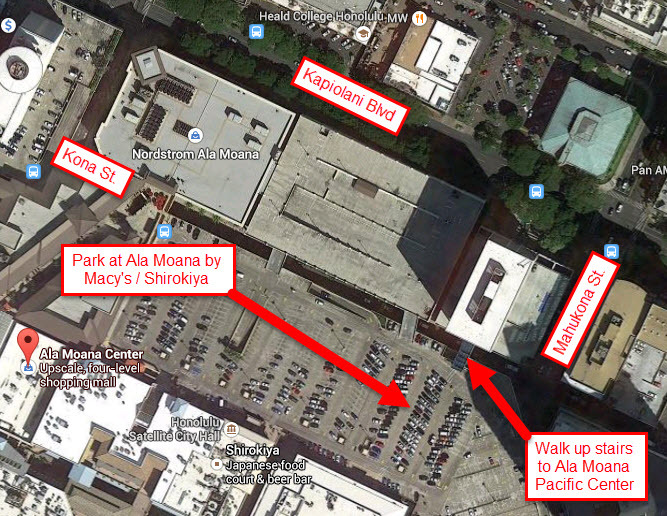 Please park on the top level of the Ala Moana Shopping Center parking structure by Macy’s and walk to the Ala Moana Pacific Center. Want to join? Have a Question? Please use the contact form below to email us or call 808-563-0686.